Remember Shah Rukh Khan-Kajol’s Cute Son From Kabhi Khushi Kabhi Gham? This Is How He Looks Now! 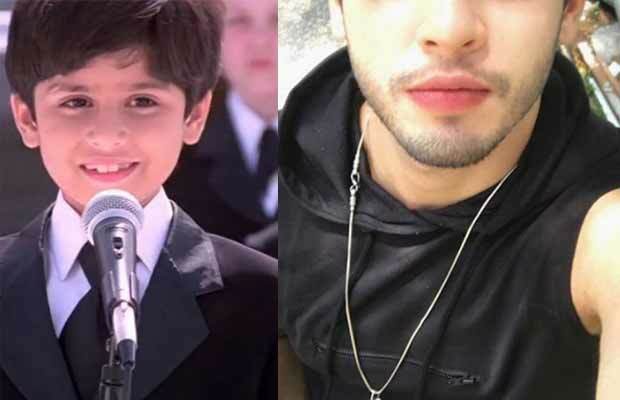 Actor Jibraan Khan or better known as Krish Raichand from ‘Kabhi Khushi Kabhi Gham’ is all grown up and we can’t believe it! Do you remember the adorable boy Krish Raichand from ‘Kabhi Khushi Kabhi Gham’? Wasn’t he a cute child back then? He definitely isn’t cute anymore. The child actor has transformed magically over the years. Actor Jibraan Khan is still recalled as the Krish, Shah Rukh Khan and Kajol’s son who said the iconic dialogue “Take a Chill Pill” to his mother. He was part of the movie ‘Kabhi Khushi Kabhi Gham’ in 2001 and is remembered for his cuteness. Jibraan Khan is famously known as Krish Raichand, the cute kid who sang the Indian national anthem at a school function making us all tear up. He also made his classmates, a bunch of British kids to sing along with him. Jibraan Khan is the son of legendary actor Firoz Khan who played Arjun’s character in the iconic ‘Mahabharat’. His recent picture on Instagram has made us review the actor’s updated profile. The actor was only 8 years old when he acted in the popular Bollywood film but now he is 23-years old and ready to rock the industry. He works as a trainer at Shiamak Davar’s dance studio where he was also a student years ago. Jibraan Khan completed his graduation and trained in martial arts, Kathak and even horse riding. Looks like the actor will be joining the industry very soon. Jibraan Khan is now a certified dance instructor and has mastered all forms of dances. He now owns a dance studio and teaches kids and teenagers dance styles. He has also acted in ‘Kyo Kii… Main Jhuth Nahin Bolta’ followed by another movie called Rishtey in 2002. He was also seen in a couple of TV ads and commercials. This is so sweet .. thank you so much @purohit8043 ❤ #animallove #happyfriday ? The actor is a gym freak and loves showing off his muscles in selfies and mirrored snaps. That's how the night begun.. the rest is history ? We love this transformation! Are you ready to see hottie Jibraan Khan make his debut into Bollywood? Next articleHas Kapil Sharma Found A Replacement For Sunil Grover On The Show?